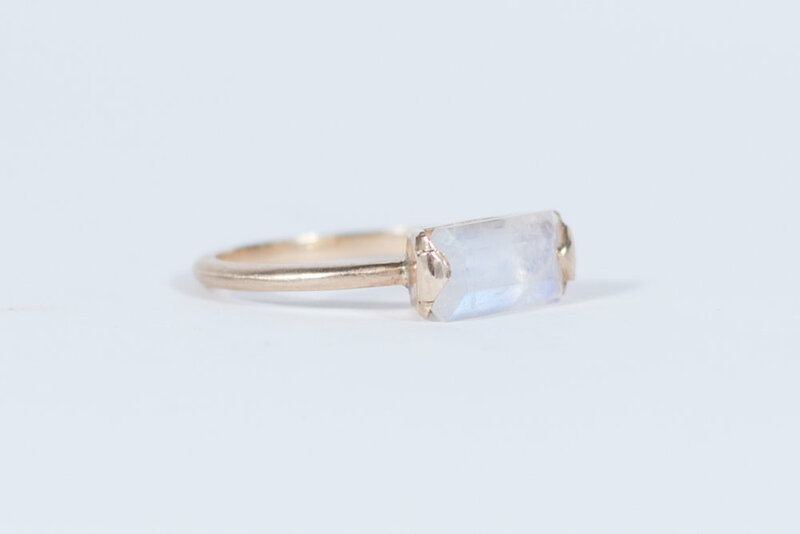 Baguette, custom cut moonstone. 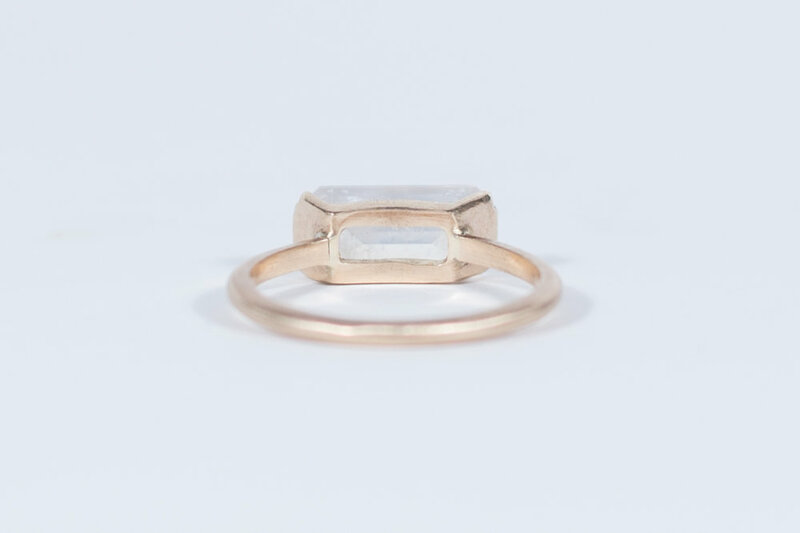 14kt recycled gold setting and 10kt gold 1.5mm half round band. Handfabricated.